Get into the world fastest growing comeback sport... Get fit, get fast, get funky! 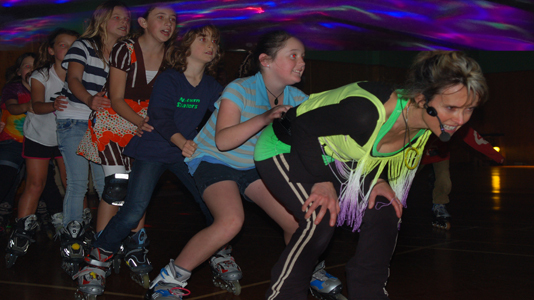 Skating classes, roller disco, roller hockey, skating parties, holiday programs. Basics up to a high level of skating. Learn how to go forward, backward, in circles, stop, jump, weave, whip and more in a fun environment. Lots of games, drills and levels to pass over time. 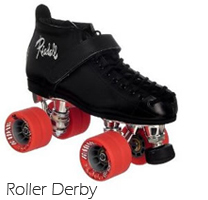 Inline or roller skates, best suited to kids 5+. Get fit while having fun skating. Get your cardio up smoothly and improve tone on skates. As a Fitness instructor I train people on skates. Skating is a great way to get fit while having fun. To participate to street skating, you must be level 2. If you are not there yet, we will teach you the drills to get you to that level as fast as we can. SPEED - Stronger, go faster, and beat your own time at each race against yourself. SYNCHRONISED - Get your rhythm into motion and get a routine down synchronised with your team. 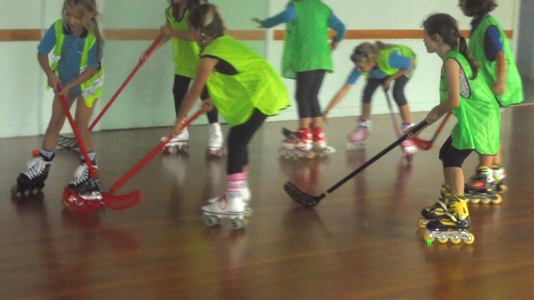 DRILLS - Learn how to turn, stop, crossover, transition, weave, jump, skate backward, etc. 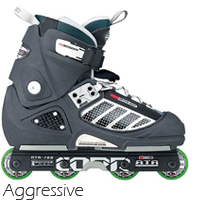 STRENGTH & STAMINA - Gym on skates! Cardio + upper, lower body workout circuits. 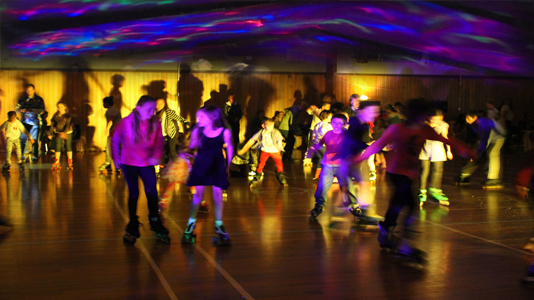 Boogie on wheels on Fri or Sat night! 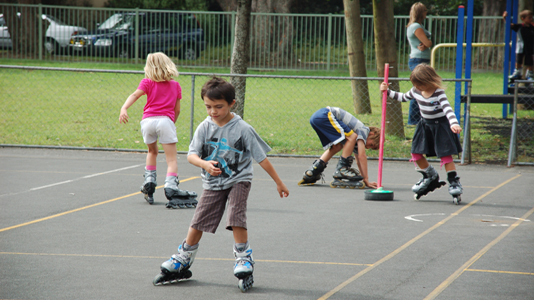 Skating is the perfect mix between sport and entertainment. 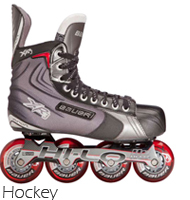 We have skates in all sizes (quads and inline). It is open to all ages and all levels. To enjoy even more, go for the 30min coaching with skating instructor and get 1st choice of skates. Note: bring socks or buy a pair. Drinks available. 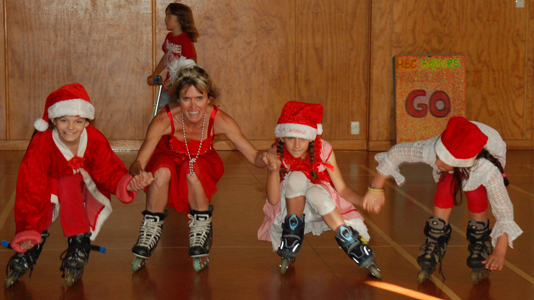 Hire us and our skates for a fun Birthday party. If you have access to a large smooth concrete or wooden area (from a large double garage area to your local school hall), we will come to you. If not, come and skate with us at ours in beautiful Ngunguru-Tutukaka area. We will be on site for 2hrs including setup. We provide tips to get kids going and build on existing skills for those who can already skate and we play lots of games. Drinks and food to be provided by parents. 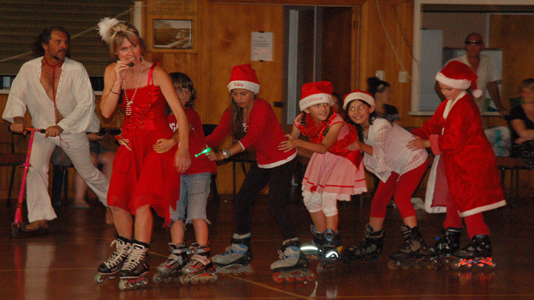 Hire us and our skates for a fun Team building activity or Chritmas party function. If you have access to a quite large smooth concrete or wooden area, we will come to you. If not, we will discuss the most suitable venue. You have the choice between a flat rate and a p/p rate. Flat rates includes 90min skating, instructor and skates (no venue). 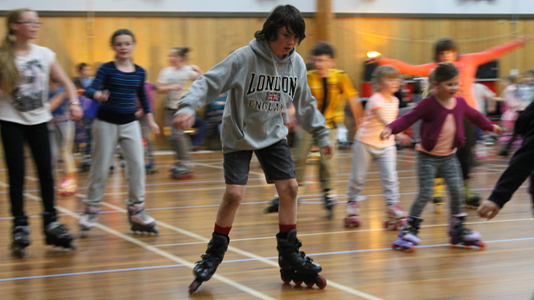 Per person (in Ngunguru/Tutukaka) includes Hall hire, inline/roller skates, 90min skating and games coached by instructor, sport socks for you to keep, coffee at the famous Shnapper Rock Cafe, complimentary bottle of water. On your site. Travel cost may apply. No charge for Whangarei CBD. Includes: hall hire, inline or roller skates, 90min skating and games coached by instructor, sport socks for you to keep, bottle of water, coffee at the famous Shnapper Rock Cafe. Low impact aerobic and strength workout promoting balance and coordination. Develop a complex movement sequence from standing, walking on wheels to pushing each foot in a sequence allowing progressive gliding. Learn how to shift centre of gravity to each side of the body to allow foot independance and increase glide length, angle and duration. Learn to power stride by leaning forward and laterally pushing, increasing speed and heart beat for an efficient cardiovascular workout. Learn to stop safely and efficiently using increasingly difficult braking techniques. Learn to negotiate tight corners while looking ahead. Develop visual anticipation, decrease reaction time to unpredictable situations and foster good technique so students are able to implement, on the spot, the correct action in challenging situations. Develop a sense of personal achievement by reaching the milestones incorporated in a grading system. Ball games allowing to improve on their new sport, while playing a game they already know. Controlling speed around others by looking ahead and anticipating. Learn to speed up, slow down, weave and dodge while evaluating the risks of colliding into each other. Cooperating with other skaters and look out for one another while playing competitive or non competitive games. 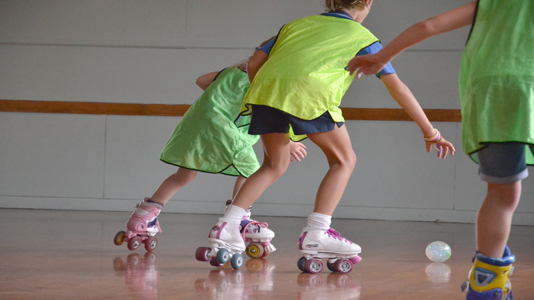 Develop synchronisation by cultivating the ability to lead or follow other skaters. Group skaters by level for specific training, encouraging them to try harder to achieve drills together. Include all groups for shared training and games. Promote an opportunity for more advanced skaters to demonstrate and assist beginners. 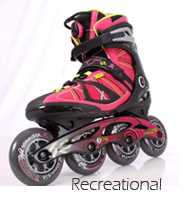 Skates - If you don’t have skates, you can hire inline and roller skates from us. Best is to start with hire and buy your own after a few weeks. Ask us for advice on what and where to buy. If you hesitate between inline and quads, here is what I think. A skater is a skater. When you can skate, inline, ice, quads are all equally enjoyable as long as they are of good quality. When it comes to buying skates, quality is essential. The shoe - must be comfortable, I recommend laces rather than those bindings that can break, unlike laces that you can replace anytime. The frame - must be made out of a material that will not squeeze the wheels when tying the shaft (inline) and prevent the wheel from spinning freely (generally extruded aluminium or even better but more expensive carbon fibre). The bearings - must be of good quality too, there are different ratings for those. Bearings are often rated on the ABEC scale (from 1 to 11 -odd numbers- the higher the better) but doesn't account for the quality of steel used, which is also important. 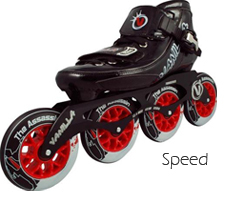 The wheels - are made of polyurethane and their hardness is measured on the A scale (78A-93A -the higher the harder). Softer wheels are more grippy. Diametres vary from 59mm to 110mm (the biggest the faster but less maneuverability). I have tested 10 wheels made for Roller derby and rated them on different floors. 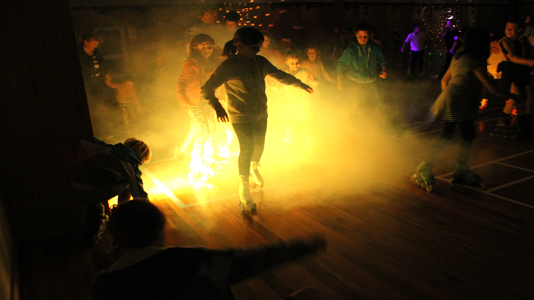 We regularly get this question when requesting to use a hall for our Rollerdiscos, and the answer is no. Wooden floors don't get damaged by polyurethane wheels, they never scratch or make dents like high heels or some other objects may do. The worst that could happen is easily removable buff marks. All our regular venue managers would testify of this. So if you are responsible for a hall, don't hesitate. The fun you will provide your community is well worth the perceived/minimal risk. My name is Brigitte, I love teaching children and adults what I know. 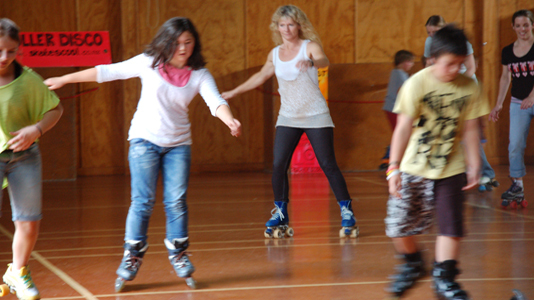 I worked as a fitness instructor for many years and in 2010 I started Skatescool in Northland, New Zealand. 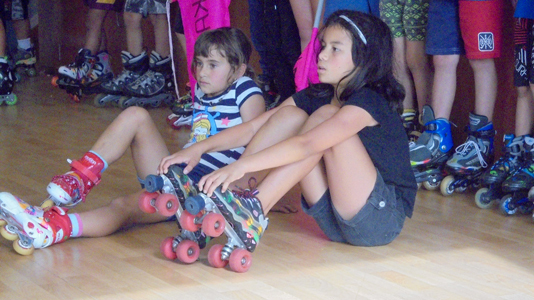 At Skatescool, we teach kids and adults in schools, halls and street and hold Roller discos in various locations. 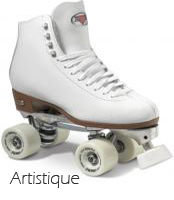 We are also offering our expertise to Skaters who would like to become instructors or start their own Skate school. 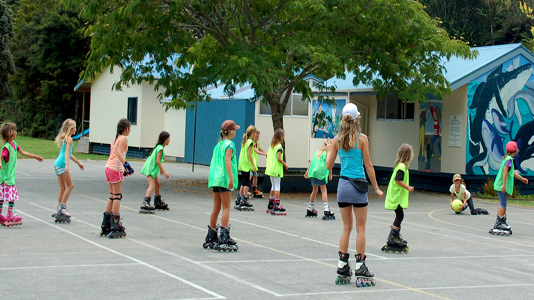 Skatescool Australia followed in our footsteps in 2013 and Skatescool Tauranga started in 2015. I also teach French (I am French), guitar and driving. Combining some of my passions together, I have a dream of creating a musical on skates one day. I would recommend Brigitte, my daughter's remarkable roller skating teacher who is gifted with being able to bring her to the next level meaning Jeda doesn't give up. She has gained more coordination, balance and confidence since she started skating. I have been taking my 8 year old daughter to Brigitte's Skatescool since October 2014 and she loves it! Brigitte is a wonderful teacher who imbues her love of skating into her students. My daughter has improved in leaps and bounds and Brigitte provides individual attention to each child and makes each lesson fun. In the age of digital entertainment I’m keen to keep my children physically active. 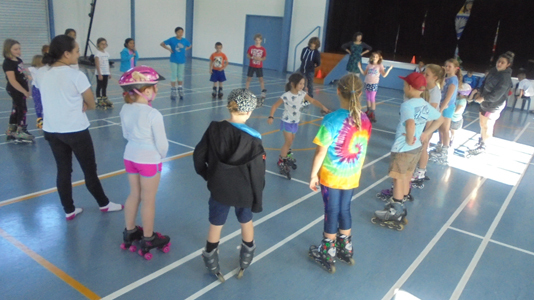 When an affordable skating class started up in Onerahi, I enrolled my daughter Amber just before her 4th Birthday. Brigitte demonstrates the correct techniques and monitors the child’s progress, reads and caters for their individual needs in a safe and fun fashion. Since attending Amber has really grown in confidence and skill,experiencing that learning a new skill is fun even at an early age. Thankfully she is developing a passion for exercise and physical activity. Don't hesitate to call or email for a chat.